JANUARY is something of a bumper months for new released. 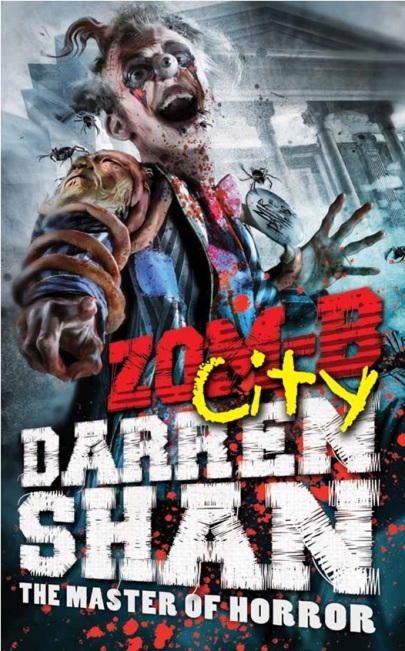 Starting it all off in horrific, zombie-filled fashion is Darren Shan! The second book in his Zom-B series, titled Zom-B Underground is published on 3rd January and after the cliffhanger and revelations at the end of the first book I really cannot wait to see what is going to happen next! There are actually going to be 4 Zom-B books published next year, a three month wait inbetween each instalment! 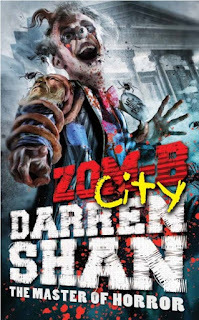 Although, as Mr. Shan is getting married in 2013, the release of the third book, Zom-B City is being bought forward to March, so there's that to look forward to too! 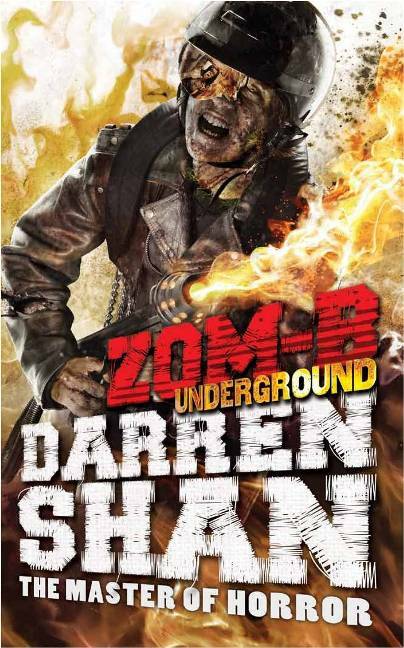 Lots of Zom-B acction to keep Shan fans happy in 2013! Another book also out on the 3rd is The Last Minute by Eleanor Updale. I only heard about this book a few days ago when I was just roaming through Amazon to see if there was anything I could get for my Kindle and I pre-ordered it straight away. 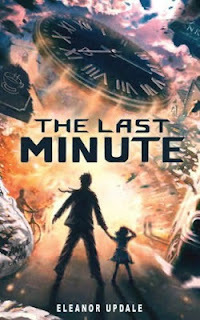 From what I can gather the book takes place in one solitary, single minute before an un-explained explosion which will change the life of everyone in the immediate area forever. It sounds amazing and I am in love with the cover which is epic! "9.21am: business as usual on a high street in England. 9.22am: the explosions are heard for miles around, and in the early confusion there is talk of a gas leak, a plane crash, and even terrorism . . . The people of Heathwick had been preparing for Christmas unaware that many would die, and the rest would be transformed for ever. Travel with them, second-by-second, through the hopes, fears, love, worries, gossip, cruelty, kindness and trivia that dominated their final minute before tragedy struck. And in the everyday story of an ordinary street, look for clues to what happened, and why." "After surviving an assassination attempt, teenager Michael Asher discovers that he is at the centre of a worldwide conspiracy higher than any earthly power. A supernatural organization with authority over world leaders, celebrities, and the wealthy desperately wants him dead. He doesn't know why. Everyone who might have the answers has already been killed. Tumbling into a web of international secrets, Michael is forced to fight back and dig up the truth. He begins to question how much of the world is truly as people are led to believe it is. What is humanity not being told? Who is the puppet master? And how far into the maze can he venture before he is lost forever?" 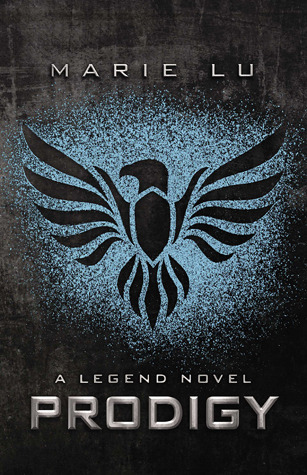 On 29th January, we get the second book in Marie Lu's Legend trilogy! 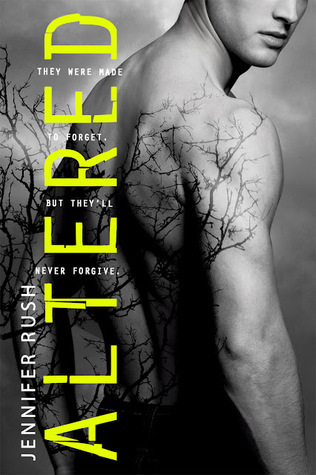 :D It's called Prodigy and I am so freaking excited about this book. I had thought I'd already reviewed Legend but it appears I haven't, so that will be up soon, then shortly the review for this little baby will be up. Cannot wait to get it. 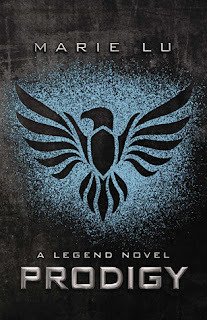 I had to pre-order the US hardback because the one for Legend was so cool. It had gold writing in it, and apparently according to Marie herself, the text inside Prodigy is blue! Can't wait! "June and Day arrive in Vegas just as the unthinkable happens: the Elector Primo dies, and his son Anden takes his place. With the Republic edging closer to chaos, the two join a group of Patriot rebels eager to help Day rescue his brother and offer passage to the Colonies. They have only one request—June and Day must assassinate the new Elector. It’s their chance to change the nation, to give voice to a people silenced for too long. But as June realizes this Elector is nothing like his father, she’s haunted by the choice ahead. 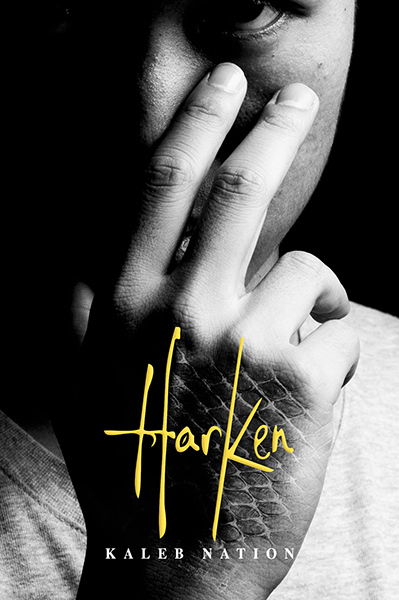 What if Anden is a new beginning? What if revolution must be more than loss and vengeance, anger and blood—what if the Patriots are wrong? In this highly-anticipated sequel, Lu delivers a breathtaking thriller with high stakes and cinematic action." January will also see the release of a new Cat Clarke novel! Yay! Kindle owners can get the book from 20th December 2012, but for those that prefer their books a bit more physical, the paperback is due 31st January, but I get a strong feeling it will be worth the wait! "Jem Halliday is in love with her gay best friend. Not exactly ideal, but she's learning to live with it. Then the unspeakable happens. Kai is outed online ... and he kills himself. Jem knows nothing she can say or do will bring him back. But she wants to know who was responsible. And she wants to take them down. A searing story of love, revenge and betrayal from a bestselling author." And then we go in to FEBRUARY! On 14th February, Valentine's day, no less, Simon and Schuster will publish Infinite Sky by C.J. Flood. This book sounds great, the cover looks great so should be a good read! 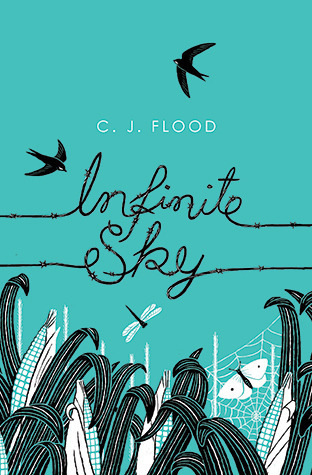 "A truly beautiful book about the summer that changed one girl's life, as her mum leaves home, travellers set up camp in the family's field, her older brother goes off the rails, and she falls in love for the very first time. Opening with a funeral, Iris is mourning the boy in the casket - but who is it? Sam, her tearaway brother, or Trick, her tentative boyfriend? Over one long hot summer, we find out just how their three lives were turned upside-down." February also brings along the new book from Ruta Sepetys. 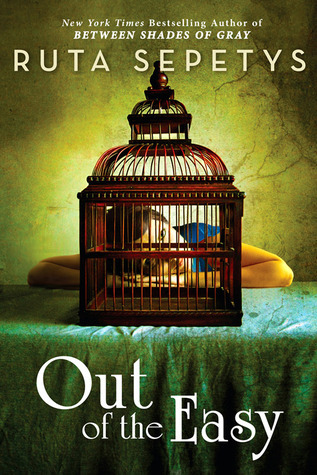 Ruta's first book, Between Shades of Gray is a haunting, beautifully written book about the holocaust - she causes so many emotions in me that I cannot wait to read Out of the Easy, which is out on the 12th! "It’s 1950, and as the French Quarter of New Orleans simmers with secrets, seventeen-year-old Josie Moraine is silently stirring a pot of her own. Known among locals as the daughter of a brothel prostitute, Josie wants more out of life than the Big Easy has to offer. She devises a plan get out, but a mysterious death in the Quarter leaves Josie tangled in an investigation that will challenge her allegiance to her mother, her conscience, and Willie Woodley, the brusque madam on Conti Street. Josie is caught between the dream of an elite college and a clandestine underworld. New Orleans lures her in her quest for truth, dangling temptation at every turn, and escalating to the ultimate test. With characters as captivating as those in her internationally bestselling novel Between Shades of Gray, Ruta Sepetys skillfully creates a rich story of secrets, lies, and the haunting reminder that decisions can shape our destiny." 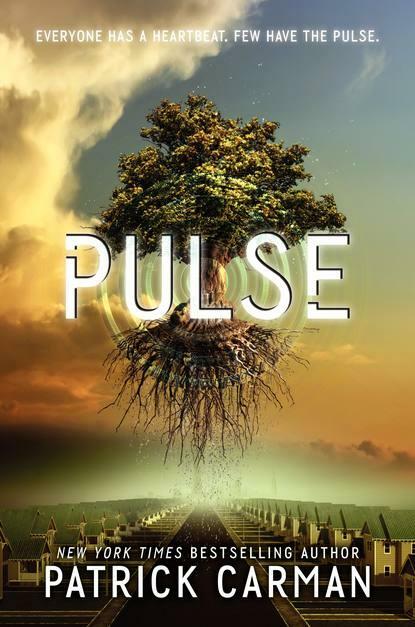 "In 2051, some teens have a “pulse,” the power to move objects with their minds. Compulsively readable, with thrilling action scenes and a tender love story. The year is 2051, and the world is still recognizable. With the help of her mysterious classmate Dylan Gilmore, Faith Daniels discovers that she can move objects with her mind. This telekinetic ability is called a “pulse,” and Dylan has the talent, too. In riveting action scenes, Faith demonstrates her ability to use her pulse against a group of telekinesis masters so powerful they will flatten their enemies by uprooting street lights, moving boulders, and changing the course of a hurtling hammer so that it becomes a deadly weapon. But even with great talent, the mind—and the heart—can be difficult to control. If Faith wants to join forces with Dylan and save the world, she’ll have to harness the power of both. Patrick Carman’s Pulse trilogy is a stunning, action-filled triumph about the power of the mind—and the power of love." And finally in February, Altered by Jennifer Rush. 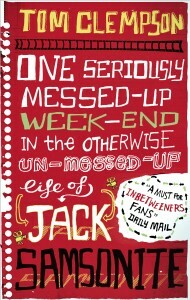 Again, not sure if this has a UK publisher but the cover is awesome and the book itself sounds fantastic! "When you can't trust yourself, who can you believe? Everything about Anna's life is a secret. Her father works for the Branch at the helm of its latest project: monitoring and administering treatments to the four genetically altered boys in the lab below their farmhouse. There's Nick, solemn and brooding; Cas, light-hearted and playful; Trev, smart and caring; and Sam . . . who's stolen Anna's heart. Reserved and always controlled, Sam does everything with purpose. When the Branch decides it's time to take the boys, Sam stages an escape, killing the agents sent to retrieve them. Anna is torn between following Sam or staying behind in the safety of her everyday life. But her father pushes her to go, making Sam promise to keep her away from the Branch, at all costs. There's just one problem. Sam and the boys don't remember anything before living in the lab -- not even their true identities. Now on the run, her father's warning in her head, Anna begins to doubt everything she thought she knew about herself. She soon discovers that she and Sam are connected in more ways than either of them expected. And if they're both going to survive, they must piece together the clues of their past before the Branch catches up to them and steals it all away." Omg omg. Nice that I have stumbled upon your blog and saw this post. 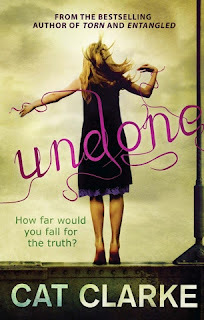 I am highly anticipating for Cat Clarke's Undone. I have seen it's trailer not long ago. I like all the 2013 february releases!